Free Shipping Included! 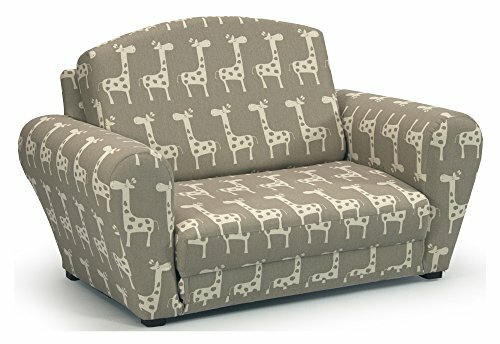 Kidz World Stretch Sleepover Kids Sofa 446406 by Kidz World at Indsight. MPN: 446406. Hurry! Limited time offer. Offer valid only while supplies last. Designed with a slightly rounded backrest. Arms are generously padded and slightly rounded on top. Plastic cushion glides on the Bottom four corners. Designed with a slightly rounded backrest. Arms are generously padded and slightly rounded on top. Plastic cushion glides on the Bottom four corners. Corners protect the fabric from wear and tear. Recommended for ages 2 to 8. Made from 50% wood, 25% polyurethane foam, 3% metal, 2% plastic, 20% fabric. Made in USA. No assembly required. 35 in. L x 23 in. W x 20.5 in. H (26 lbs.). If you have any questions about this product by Kidz World, contact us by completing and submitting the form below. If you are looking for a specif part number, please include it with your message.